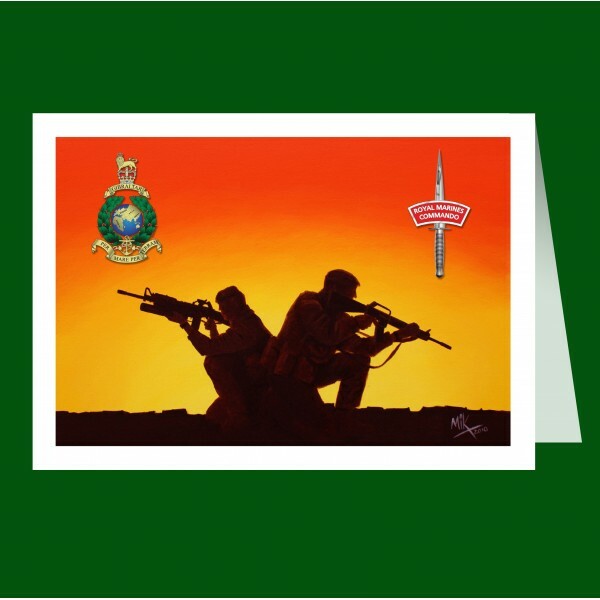 Printed onto 350gsm silk finish cards along with self seal envelopes included. 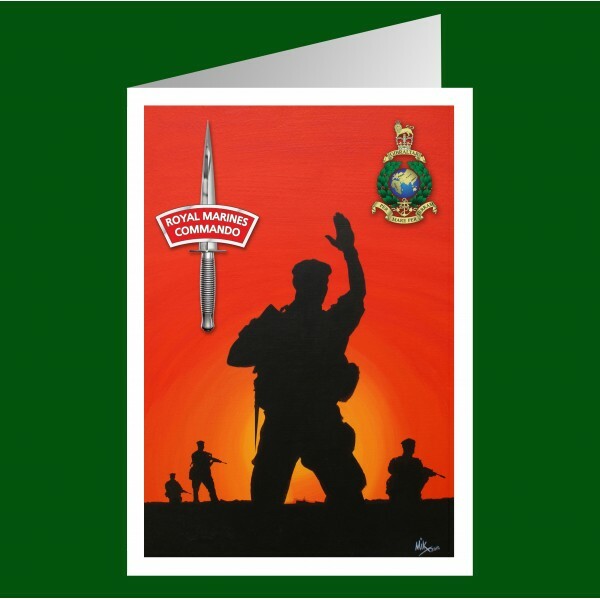 Available in either A5 or A6 size folded. 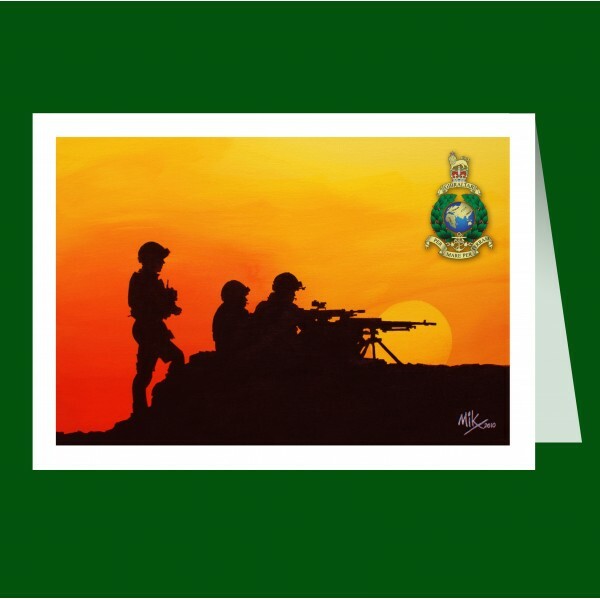 Please view this item to see all the options available. 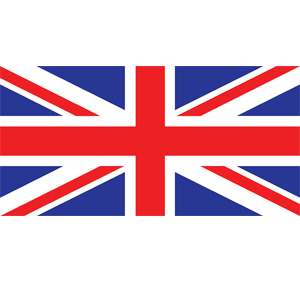 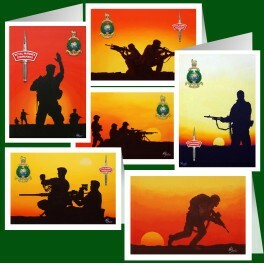 has been created from original paintings and artworks of Royal Marines Commandos in Afghanistan by Mike James. 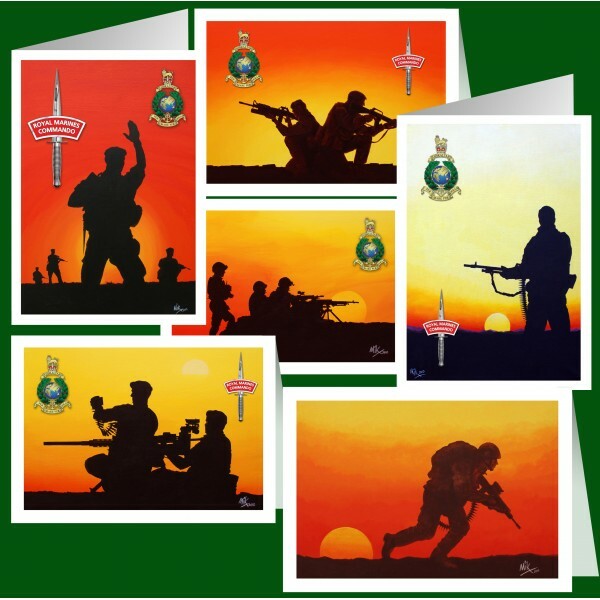 The originals were painted in acrylics onto canvas and are printed onto high quality 350gsm silk finish greeting cards with a self seal envelopes included. 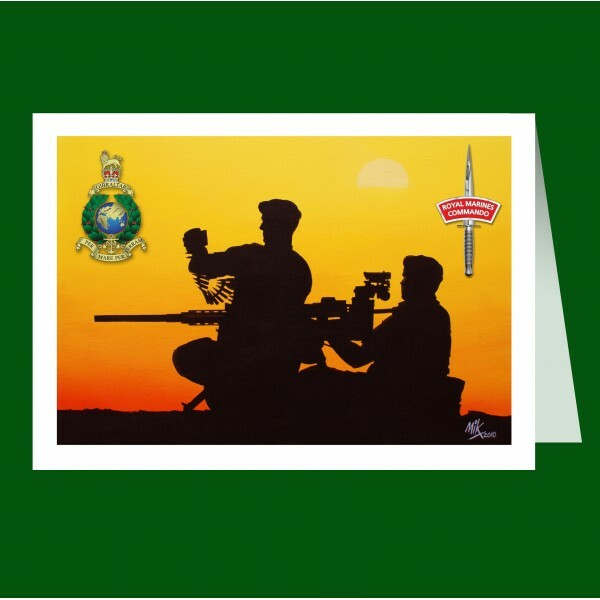 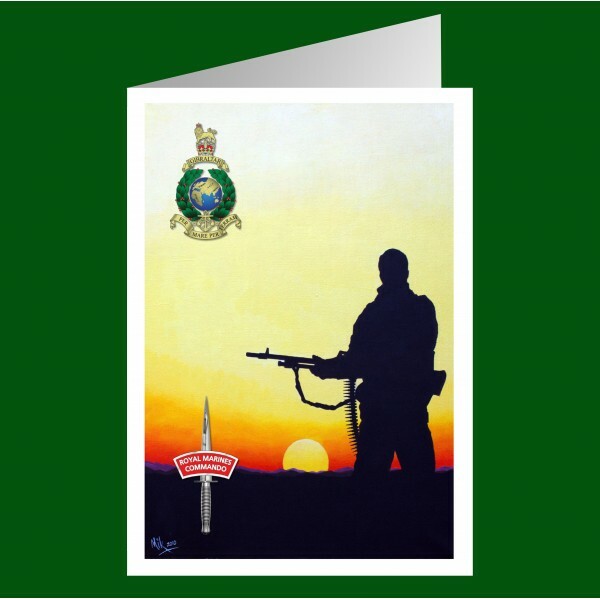 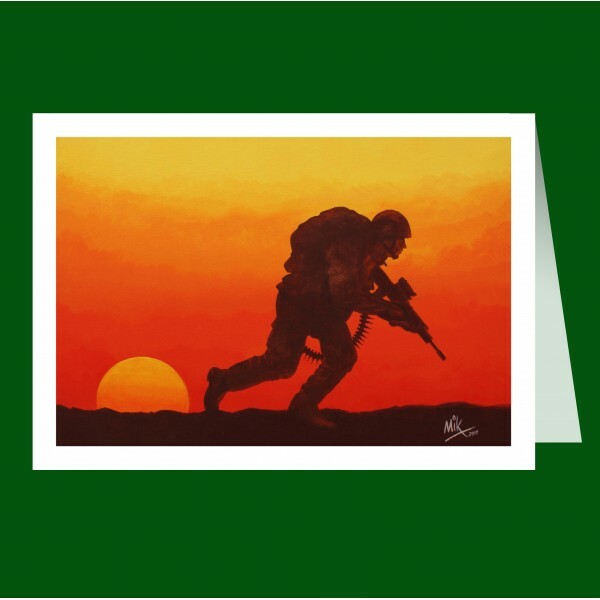 These greetings cards depict a Royal Marines Commandos on in Afghanistan.